The headline reads…designers love taking risks. The photo is…an enlargement of the FABULOUS necklace in the featured photo. The necklace reminded me of the dominant textures at the last two furniture markets…swirls of stylized flowers. 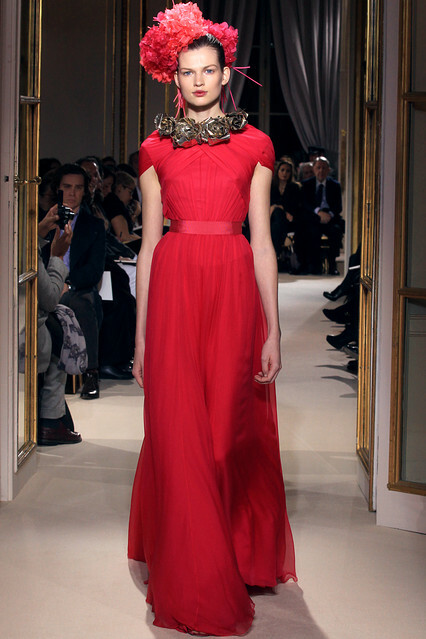 This link will take you to a Wall Street Journal article and a collection of fashions from Giambattista Valli. Scroll through the photos for a variety of floral texture and placement. Thank you for all of the thoughts and prayers during this last week. Bill is home and gaining strength. He still has a long road to a full recovery and another surgery sometime this summer. With luck…he will be on the golf course later this year.